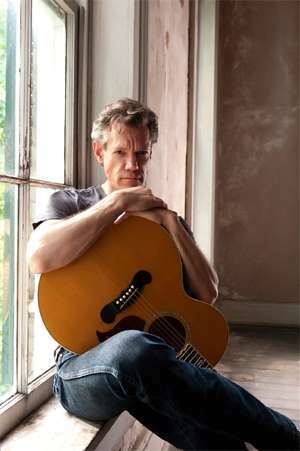 Randy Travis has long been a respected name in country music as well as gospel. With 20 studio albums selling a combined total of 25 million copies and 22 number one hits he has proven it is respect well earned. Travis has an impressive amount of awards with 10 AMA’s, 9 ACM’s, 7 Dove awards, 6 Grammy’s,and 6 CMA awards. Randy has also worked as an actor, appearing on/in Frank & Jesse, Matlock, Hey Arnold, King of the Hill, Lost, and National Treasure: Book of Secrets as well as many others. To mark 25 years in the industry in he most recently released the album Anniversary Celebration featuring appearances by Carrie Underwood, John Anderson, Josh Turner, Gene Watson, Connie Smith and Joe Stampley. Maximum Ink: Can you tell us a little about your early days? What where you like as a child? Randy Travis: As a kid, I grew up on a horse. The first pony I had was at 3 years old. There’s one album cover that we did, I don’t remember which one it was, but I’m thinking I was 3 months old and my dad had a palomino kneeling with me sitting in the saddle. My mom may have taken that picture. I grew up as a cowboy. As a really young boy, I was helping my dad move cows, but I was also a brat and I probably had to be punished quite often by him. I’ve been up front and honest about this. We fought a lot and then into the teenage years, I got into a lot of drugs and alcohol. So, I was not a good kid, not at all. MI: Do you think you would be where you are now without the encouragement of your father? What would you say is the most important thing he taught you? RT: No.The most important thing I got from him was that love of music and pursuing that as a career. He and my mom would take all six kids to what was called fiddlers conventions and we’d be playing in the VFW or Moose Lodges after being hired to play at square dances and all kinds of things like that. He would push us kids to continue learning to play instruments and learning music. I’d love to know how many songs I knew, at this point in life, because it would sure be a lot.That was the most important thing from him, and of course, he taught me a lot about horses. MI: What was it like to be performing shows at age 10? RT: It’s strange to think back on this, but at ten years old, I thought nothing of doing it. I’d just walk out, pick up a guitar and start singing. I didn’t talk any. I didn’t even say thank you. I’d just go up and start singing song after song and people would dance. I thought nothing about it. It was just like, oh this what I’m supposed to be doing, I guess. MI: What do you think you would of become if not a musician? RT: I have painted houses, done brick laying, helped with plumbing houses, hung sheetrock, taken care of turkeys, cows and horses. I’ve been a cook in a restaurant. So, any of those jobs. RT: I have calmed down a whole lot as far being that person that was so prone to anger. That would be the greatest change in me. I shut that stuff down and became a lot more patient. This is due to two things, getting older and a relationship with God along with the ability of understanding that I have to have prayer time and time reading the word of God. MI: When you first started your career did you ever think it would have lasted 25 years? RT: I never really considered that. I’ve been surprised at how far things went. I just wanted to make a living singing and writing songs. It’s grown so much further than I ever anticipated, but I’m thankful that I’ve been able to do it. MI: Are there any stories from your career over the years that stand out most in your mind? RT: Yes, like the first time we did “Forever and Ever, Amen” and had to do it three times because of the response from the audience. I remember things like the first time being on a platform singing in front of all those other singers after being nominated by the CMA for the Horizon Award and looking out at Loretta Lynn, Tammy Wynette, George Jones and Hank Williams, Jr., and thinking I might not be able to finish the song because my nerves were really getting to me. It was an interesting sensation and you always remember things like that. MI: How does it feel to have won so many awards? Do you find it humbling? RT: I’m grateful and humble for it. There’s a part of you that’s so thankful for that, and you’re there in that moment of doing it. But, there’s also a part of you that feels a little out of place. MI: You also have a star on the Hollywood Walk of Fame. What was that experience like? RT: It was a little uncomfortable. Again, this is so far removed from what I thought I’d be doing in this business. So, it’s just a bit embarrassing. MI: What led to your trying your hand at acting? How does it differ most from your work in music? Are there any roles you enjoyed more than others? Do you think you might pursue acting more in the future? RT: I wanted to try acting because they make Westerns once in a while (not as many as they did) and I wanted to worked in a Western because of the way I grew up. What happened was troops were coming home from the Persian Gulf, at that point in time, and we were doing a celebration that was being taped for television. Andy Griffith was there and I’m a big fan of the old Andy Griffith Show. He was doing Matlock then. So, I ended up doing two Matlock episodes and Andy Griffith was exactly like you’d want him to be, such a wonderful man. Spending time with him between shots and playing music along with him teaching me about acting some was so special. Some of the other work was actually doing some Western work, and one was Texas Rangers.The other one was doing Frank & Jesse, working with Bill Paxton, Rob Lowe and Todd Field out in Arkansas. That also stands out as one of my favorites. MI: Can you tell us a little about the album Anniversary Celebration and the artists that appear on it? RT: Years ago, I did a duets album called Heroes & Friends. So, this is the second time. As far as choosing the songs, we let the artists that worked on this project choose what they wanted to sing from new songs to redoing some of the older ones. When it came to choosing the artists that was a process that could have gone on for a long, long time because at the end of the day, you’d love to do something with everybody you know in this business! But, then producer Kyle Lehning finally spoke up and said this has to stop if we’re going to get this project out when it’s supposed to be released. So, we stopped. There’s a group of people I would have loved to have done things with, not just any one particular person, if we could have gone further. MI: Are there any little known facts about yourself that you’d not mind sharing? RT: After all the years of doing interviews, I can’t imagine anything that hasn’t been asked. I don’t know of anything that I haven’t already said (laughing). RT: Do what you love. That advice came from several people, including Kyle Lehning, my producer who said, you record what you want, but if you don’t love it don’t do it because at the end of the day it’s you who’s standing on stage and singing those songs. Roy Acuff, standing in his dressing room at the Opry House, told me basically the same thing. Also, Johnny Russell, a friend who was a singer/songwriter who passed away a few years ago. The other one was Grandpa Jones. Standing in the corn field on the old show, Hee Haw, he told me exactly the same thing. All these people kept giving me the same advice. From a business and music standpoint that’s pretty good and probably the best I’d ever gotten. RT: To all those who would be reading this, thanks for the 25 years and come out and see me, if you get the opportunity. I look forward to continuing with the rest of the tour because I truly love what I do onstage. CD: Anniversary Celebration Record Label: Warner Bros.